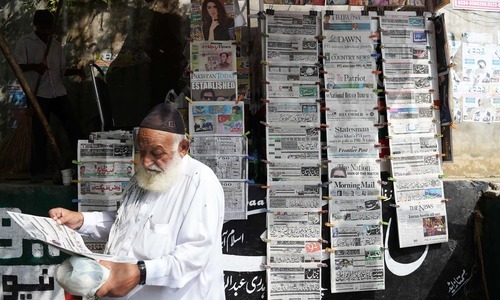 With just over a month to go until the expiry of President Mamnoon Hussain's tenure, the Election Commission (ECP) of Pakistan expects the next presidential election to face delays. President Hussain's five-year term is set to expire on September 9. According to the Constitution, the presidential election must be held at least a month prior to the expiry of the incumbent's term, which in this case would be August 8, an ECP source told DawnNewsTV. Why delaying Presidential election, as public want to see more pro active president and, are fed up with inactive and ineffective person, who had very little to do or say? Sooner this is done, it would be better for nation! Before he leave ,Can this president issue a Pardon to Nawaz Sherrif ? This guy is a President What splendid waste of Position. This is the Presidency position now just imagine how many other thousands of position of authority in Pakistan have been forcibly occupied by Nawaz/Zardari grand looters and their cronies. Words can't describe what these goons Nawaz/Zardari along with their families have to our beloved Pakistan, every position of authority has been filled in by their close friends or family members so they can continue their grand looter unchecked alas we have hope now with PTI. Get ready for jail time now or return billions of dollars. The Persia has no powers under our constitution so no one really cares. Let him enjoy one more month at President House ! I think President should leave office on 10th and caretaker president (Chairman of Senate) should take the role of President until election is held. Obviously, caretaker president would take only decisions or actions that are unavoidable and should not use the office to take decisions or act that could be deferred to elected President after election. What is the role and use of President in our country as he only cut ribbons and attend prize distribution ceremonies, the money expend on president house can be use to establish schools and hospitals in the country. It makes really no sence to have a President and a Prime Minister. Primine Ministership should be bolished and transformed into Presidendship. We are after all not living under a Queen. Process is process. It takes it's own course and it's own time. As a citizen, I humbly request to have a proactive, effective, intelligent and impartial president, who constructively contributes towards the integrity, prosperity and sovereignty of the country without any personal motives. There is no room for 'Yes Sir' personality! What is the role of President in Pakistan? Bring new talent and visionary person for this highly important position. Change the mind setup. The mind setup srounded by corrupts for a longtime. I don't understand why Mamnoon is hanging on to his job? why doesn't he call early vote? 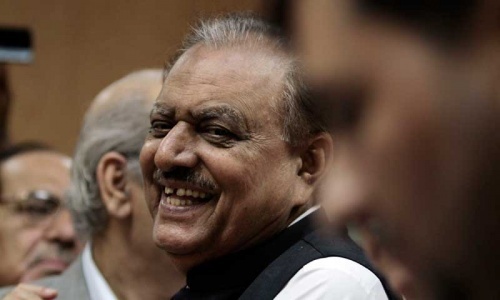 Mr Mamnoon is already conspicuous by his constant absence. His delayed but eventual departure will not be noticed either. Easy come, easy go!! @Tariq Rashid. Or, since IK is moving to a much smaller place to cut down on expenses, how about moving the current President to a hotel room for the next month, it costs more to run that Presidential house on daily basis than ten schools put together.